Outside the Lens presents the international JR art project, INSIDE OUT, along with Union Cowork in downtown San Diego. The two organizations aim to foster unity among the creative community. 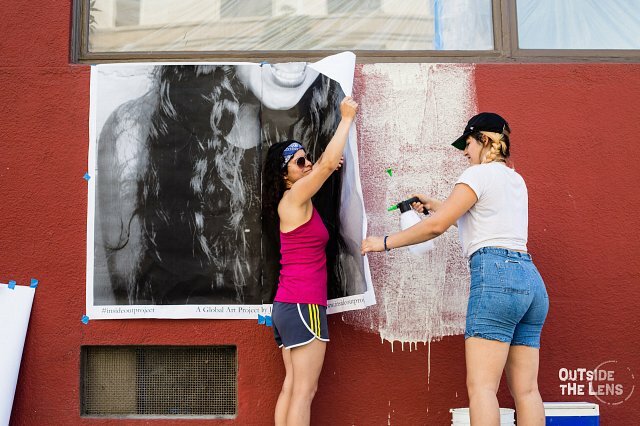 Digital media nonprofit Outside the Lens and Union Cowork are unveiling a collaborative public art installation that gives an inside look at the faces of San Diego’s creative community. EMERGING VISIONS, located at Union Cowork’s new co-working building on 704 J St, is part of the international participatory JR art project “Inside Out”, a global movement that allows participants to share untold stories and transform messages of personal identity into works of public art. 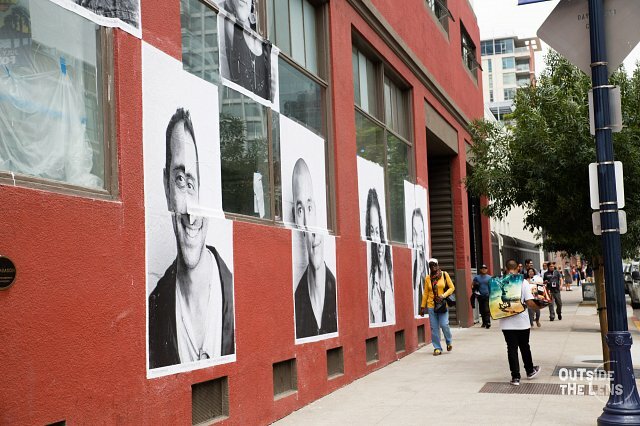 Inspired by JR’s large-format street "pastings," Inside Out gives community members an opportunity to create large-scale portrait prints and make a statement for what they stand for. Each Inside Out group action around the world is documented, archived and exhibited online and has given viewers a profoundly human glimpse into communities across the globe. 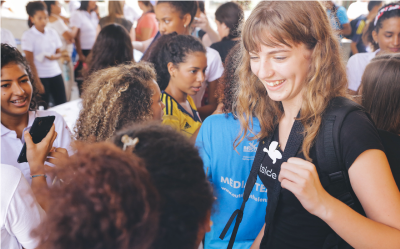 Over 260,000 people have participated in 129 countries, and the projects have inspired group actions on themes such as hope, diversity, gender-based violence, and climate change. 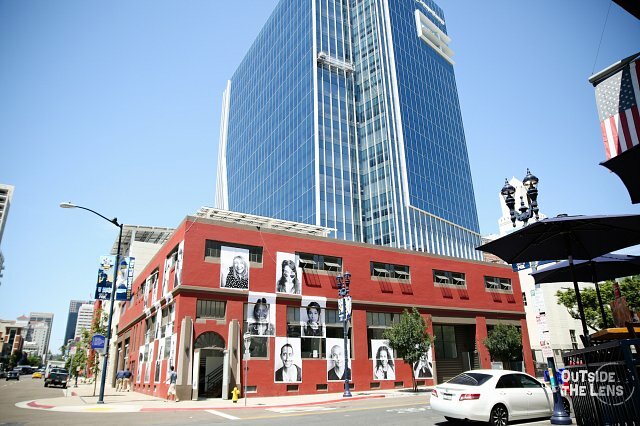 The new East Village exhibit tells the story of intergenerational creativity and collaboration in San Diego, showcasing the faces of Outside the Lens high school Youth Council members and the OTL Advisory Board mentors and advisors at Union Cowork and beyond. With the help of local photographer Tim Mantoani, students and mentors created portraits of each other to express shared creative values, visions, and words of wisdom during a culminating event for their year-long mentorship program. Jamie Miller, CEO of Union Cowork, expressed, "This is the coolest art collaboration we've ever done. 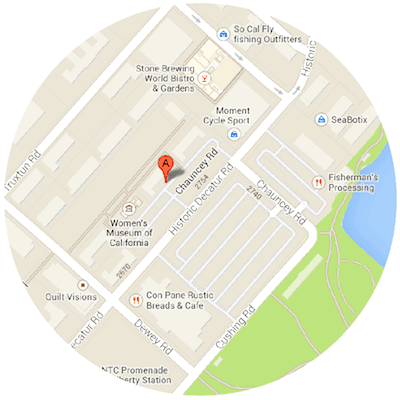 It is symbolic of a committed and thriving partnership between Union Cowork and Outside the Lens. 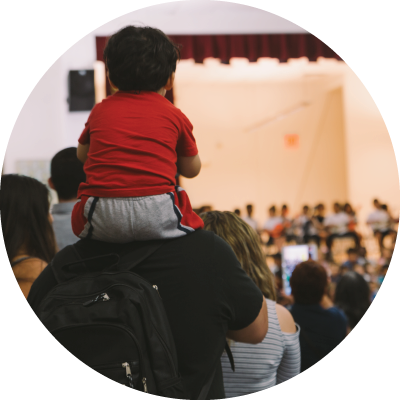 We are excited to open in San Diego's East Village this fall and extend these types of relationships to the neighborhood at large." 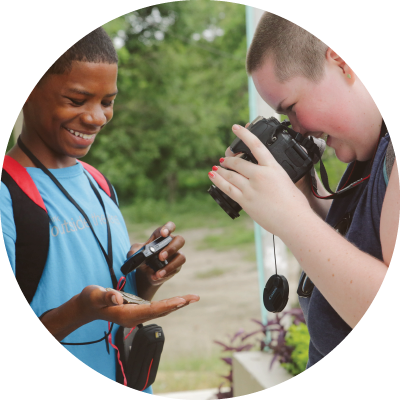 Outside the Lens seeks to empower youth through photography and digital media and engage students as storytellers and change-makers within their communities. 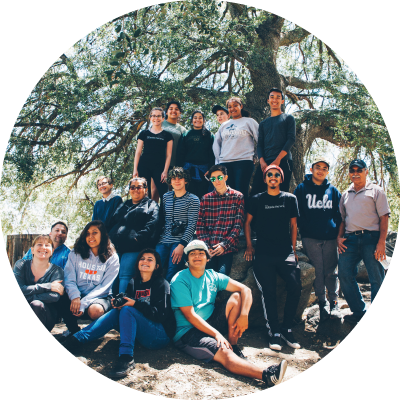 Through OTL’s Youth Council Program, local high school students gain invaluable experience through transformative mentorship opportunities, community service events, and real-world work experience. 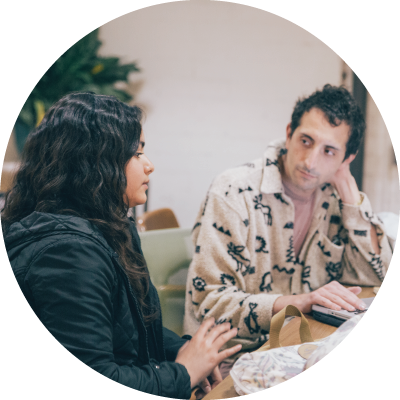 The mentorship program, hosted at Union Cowork, enables students to partner one-on-one with mentors, role models, and teaching artists from OTL's Advisory Board, a collective of creative professionals from around San Diego. This alliance of ages seeks to cultivate youth voices and foster creativity that these young artists can carry on with them forever. Lucy Eagleson, Program Manager of Outside the Lens, expressed the sense of pride the students felt when hanging the portraits : “It is empowering for our students to see their work in such a tangible way on a real-world platform at Union Cowork and in unity with JR's work. 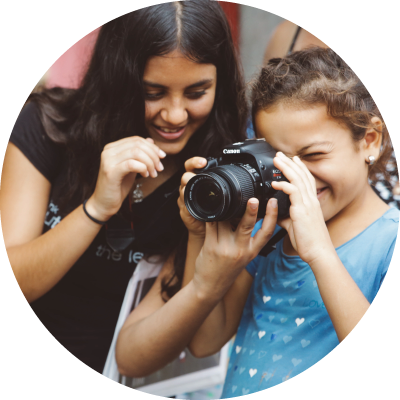 By enabling them to understand the power of their images first-hand through this experience, we can inspire a new generation of change-makers." 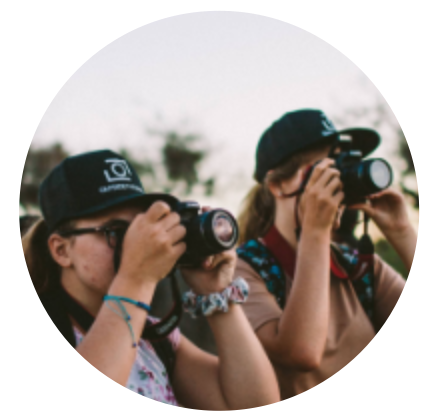 This Inside Out project provides an empowering opportunity for these multi-generational designers, photographers, artists, filmmakers, and entrepreneurs to bring together a shared vision for the future of the creative community. 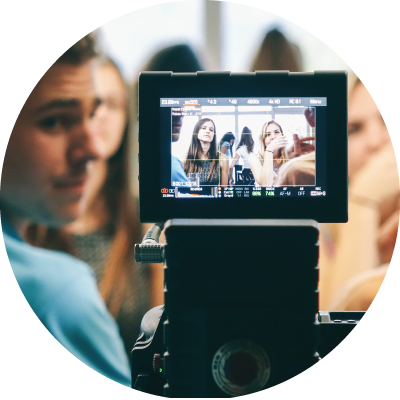 Along with Union Cowork’s support, this compelling action for the JR Inside Out Project hopes to carve a path for new stories, exponential change, and a united, EMERGING VISION for San Diego creatives.